Another example of don’t judge the books by its covers. X-factor contestant, Shy, was ignored by the judges and the audience when she first appeared on stage. They weren’t that fascinated with hear appearance and the way she talks… but when she started to sing Mercy by Duffy, they were all in AWE! 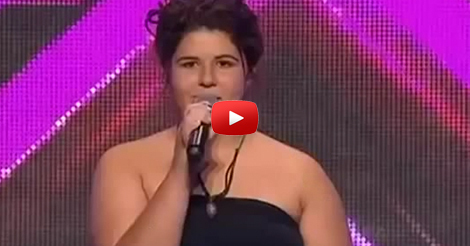 The judges and the audience started to jam with her… and it was one of the best audition performance that night! She basically killed it! Check out her performance in the video below. Her awesome performance is a slap to the judges. They should know criticizing even before she performed can affects the confidence of the little girl. They can always give their criticism after she performed. Enjoy and SHARE this girl’s amazing necromancer with everyone you know.